AN EVERYMAN'S LIBRARY HARDCOVER CLASSIC. Ivan Goncharov’s 1859 masterpiece—a magnificent farce about a gentleman who spends the better part of his life in bed—brilliantly employs humor to explore the absurdities and injustices of an outmoded social order. Ilya Ilyich Oblomov is a good-hearted nobleman whose majestic slothfulness renders him incapable of making decisions or taking the simplest of actions. Raised in idyllic comfort on his family’s country estate, he has become so lazy as an adult that he lets his affairs deteriorate and allows unscrupulous people to take advantage of his weakness and good nature. Living in a shabby apartment and tended by his indolent serf, Zahar, he relies on the efforts of his increasingly exasperated friend Stolz to protect him from himself. Falling in love briefly rouses Oblomov to exert himself in courting Olga, a young woman Stoltz introduces him to, but his astonishing lethargy eventually defeats even their romance. 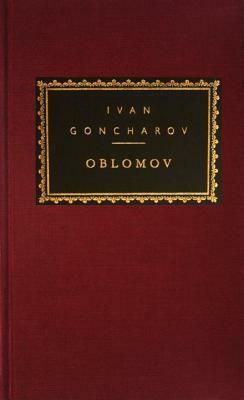 Wildly successful upon its publication, Oblomov was taken as a slyly subversive indictment of the uselessness and corruption of the nobility, but the character of Goncharov’s superfluous man is rendered in such vivid detail and epic richness that it transcends satire and achieves iconic status, earning a place among the masterworks of Russian literature. Richard Freeborn is Emeritus Professor of English Literature at the University of London. He has translated and edited many novels by Turgenev, and is the author of Turgenev, the Novelist's Novelist, The Rise of the Russian Novel, and The Russian Revolutionary Novel.